The Global Game Jam® (GGJ) is the world's largest game jam event taking place in physical locations across the globe. Think of it as a hackathon focused on game development. 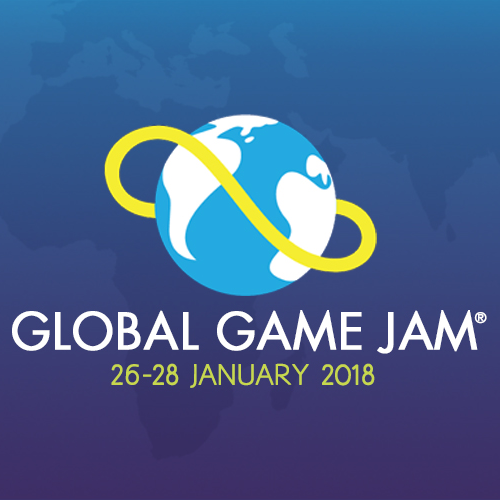 The first Global Game Jam® was held in January, 2009 with 1600 people jamming in 23 countries.By 2017, the event grew to over 700 sites in 95 countries with over 35,000 jammers! GGJ’s mission is to stimulate innovation, experimentation, and collaboration in games. The annual event normally begins on a Friday afternoon in January and kicks off with video keynotes and advice from leaders in the game development industry. The jam formally begins after an announcement of the year’s theme, kept secret until the last second. All sites worldwide are challenged to make games based upon said theme within 48 hours. The GGJ encourages collaboration and is not a competition. Anyone can apply to host a jam site as long as they have a dedicated jam organizer and a venue with internet access. The jam, which is fully run by volunteers, is known for fostering friendships while increasing confidence and opportunities within participating communities. Each GGJ event poses an intellectual challenge where people are invited to try new technology and tools while exploring new development roles and skills.